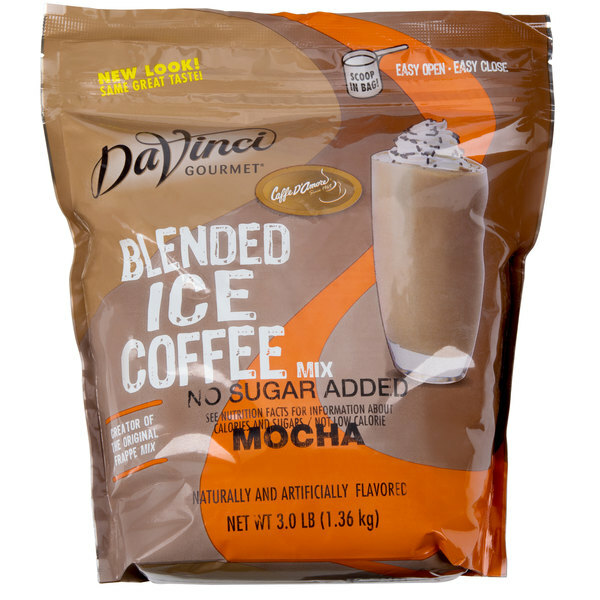 Quickly and easily whip up serving after serving of tempting and profitable frozen drinks with this DaVinci Gourmet no sugar added mocha mix. This mix combines the taste of chocolaty mocha and robust coffee without the added sugar! 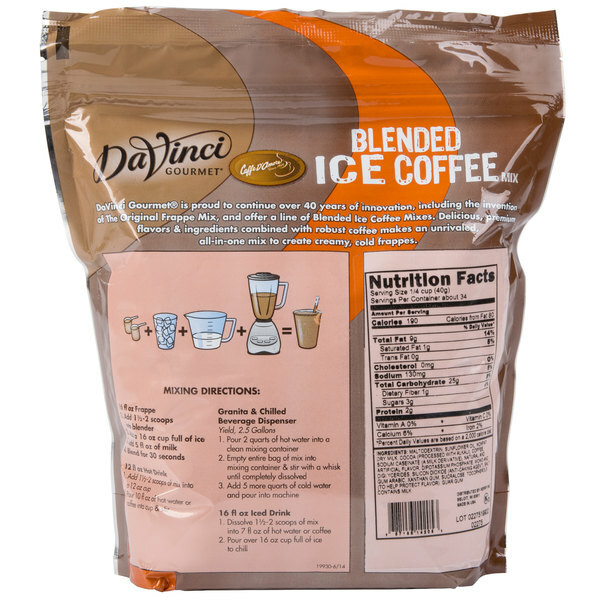 It is recommended to blend 1 part mix to 2 parts ice for simply sweet frozen beverages. Or, you can add milk, ice, and a flavoring syrup of your choice for an extra creamy blended ice coffee or frappe. 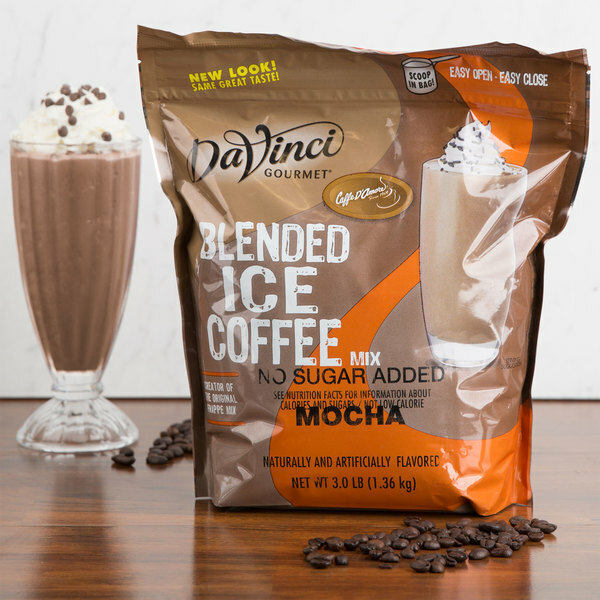 Featuring the taste of a rich chocolate mocha, this versatile mix is also great for flavored coffees, frozen dessert drinks, cappuccinos, and more! I love the chocolaty mocha taste of this DaVinci Mocha mix. It is a huge plus that there is not sugar added. That was exactly what I was looking for. 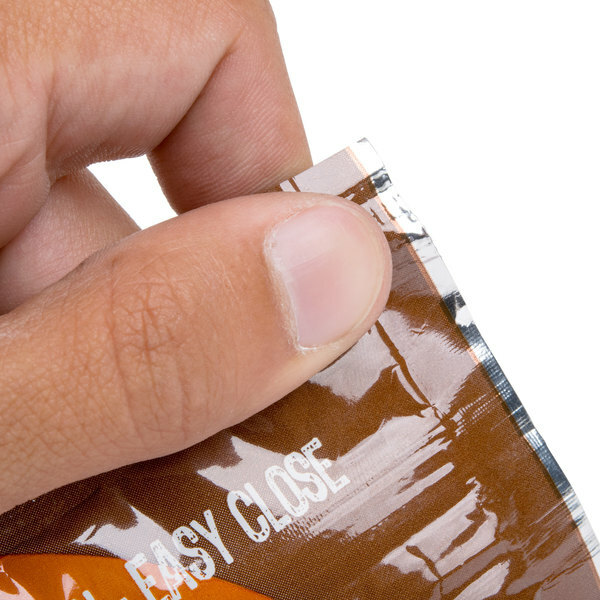 A great no sugar added mocha mix that is delicious and really good for a low sugar diet. A nice low sugar option for our bakery's café menu.